Pop quiz time! Do you know what the item pictured above is? If you answered d (or b...more on that in a minute) then you are correct (but then again, all of my readers have smarts and I wish I had a retro inspired prize to give to all of you!) This is an Epilady Trio, a hair removal tool that was introduced in 1988, and I own one from that same year. For some reason, my mother thought that a 16 year-old deserved a better way to remove hair from her legs, and I got the Epilady for Christmas that year. It was sold in department stores and marketed as sort of a luxury product. In the 22 years that this thing has lived in my drawer, I think I've used it a grand total of 5 times. Does the Epilady remove hair? Oh yes, by means of quickly rotating coils that trap each hair and pull it out like tweezers. It wasn't so much that this thing didn't work that puts it in the "fail" category...it's that it hurt like hell! You know the scene from "The 40 Year Old Virgin" where Steve Carrell gets his chest hair waxed? Well, I don't want to exaggerate but it nearly feels that bad. The guards at Guantanamo Bay could've used this. OK, maybe it isn't quite that bad...not long ago I pulled it out, charged it up (which requires some patience - it takes 16 hours to fully charge the unit), and prepared to bite my tongue off while gliding it over my legs. The key to minimizing discomfort while using an Epilady is you have to pull a portion of your skin taught while you glide the coils over. It's noisy, and as it traps each hair, it kind of makes a zapping noise to me. The problem is it isn't very practical. You can only use it after showering, and can't put any moisturizer on your legs or the coils won't be able to grab. It takes several hours for the battery to be fully charged, and it begins to peter out before you're done with the second leg, provided you make it that far. So, unless you're Heather Mills or had the nerves removed from your extremities, I don't recommend trying to score a used Epilady off of eBay. The Dos and Don'ts list for using this product in the instruction manual is also pretty darn amusing - it's stressed in several places that the Epilady is for use on your legs ONLY, as if the reminder is really necessary. The thought of putting this thing anywhere near my underarms or nether regions makes me want to pass out! The good news is Epilady discontinued the spring coil removal system quite a while ago...the bad news it's been replaced with this new tweezer-like mechanism, which looks like something out of a horror movie to me! Despite its impracticality, I don't feel like throwing out this relic from the 80s. It's still kind of a cool item to have and I've never met anyone else who owned one. Did you? I do remember this but I didn't realize that it was such a painful way to remove hair. I have used an electric razor for the past 16 years and that takes 12 - 14 hours to recharge. Had one, used it to death, replaced it with a more 'modern' rotating disc gadget that still hurts, but less than the old spring coils did. The Epilday "stung"...at least, that's what it felt like to me. I hoped that in time and with use I'd get used to it, but just didn't like it at that. 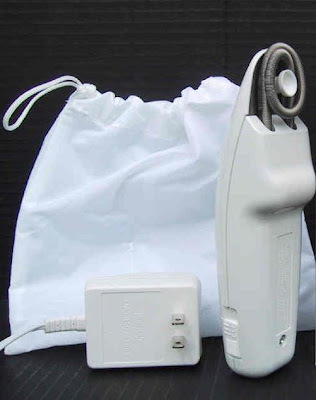 I also had a Panasonic wet/dry battery powered shaver for women. That worked fine, but didn't shave very close. For me, there's nothing like a regular old disposable Bic razor! Oh YES!!! I had one of these torture devices!!! I was convinced it was going to work wonders on my furry self. It was horrible!!! Hurt like hell and worked like crap! HA!! How's that for a negative review? Yes! I had one. It's probably still buried somewhere in my mom's bathroom cabinets. I was skimming through blog posts and a mere glimpse of the Epilady image gave me goosebumps. How could something so promising, so chock full of hope turn out to be so vicious? I had something like this in the early 80s. I loved it. Yeah, I did. It did have a tug feel but it was when I first started shaving so I thought that's what being a woman was all about! My dad informed it was not, and turns out he was right! I wish I still had mine though... just cuz I'm a freak! My Mom used that thing on me to shave my legs once. Yikes! I never owned one and to be honest with you, I never knew it's exact method of execution - yikes! 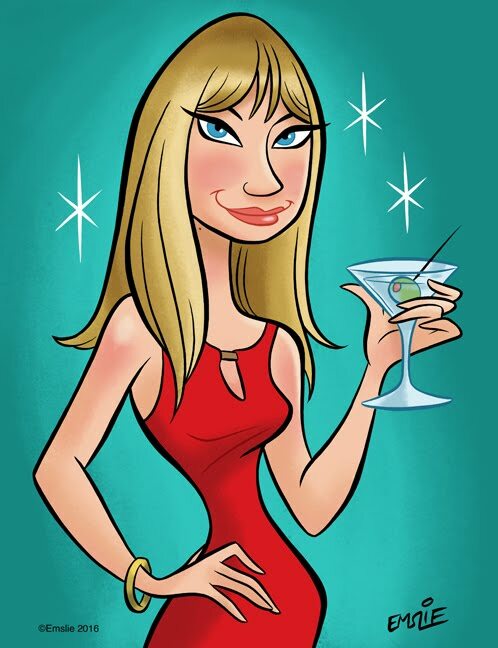 Pam I know this is an old post, but when I came across it tonight, I couldn't resist--I am one of your male readers WHO TRIED THE EPILADY! Doug--thanks for sharing your story and for making me laugh! Perhaps now some men will appreciate what women go through to look good. Anonymous - who's complaining? We're all here having fun--guess the humor is lost on you. I was browsing for comments because I need to find a replacement for my Epilady which is now broken and when I saw the picture I thought it was maybe still be in production. You might wonder what is wrong with me because I would be really happy to get another one (I am French, maybe that's what's wrong!!!). I have had mine and used it every month for 20 years. It did hurt as hell at the beginning. I used to listen to music (U2 Achtung Baby, to be precise)and sing along very loudly to help me bear the pain. But I thought that the other ones would hurt as well and as time went by I got used to it. Now I am wondering whether the ones with tweezers work as well as my beloved Epilady. I love you funny comments. I loved mine. My house was just burgled and it is missing, I guess because it was hanging in my closet in its white leather bag. It never did hurt me, and I used it on my face as well. I do have thick skin. And it is very oily, so I don't care that I can't use moisturizer, since I don't anyway. The best part about tweezing is that less and less hair comes back. I bought one in the 80's. With an audience of my husband, a friend and my dog, after 10 seconds of use, I threw it in the garbage. It was so painful that when I started screaming, the dog ran out of the room, my husband soon after him. Just found this because I am surfing the web looking for a replacement part. After using my mini-epilady since the 80's, the power cord no longer stays plugged into the unit. It is not hardwired into the unit and has a male connection that plugs into the unit. It has become very loose and won't make contact. My husband has added metal tape around the male connector for contact but I feel I might get electrocuted. 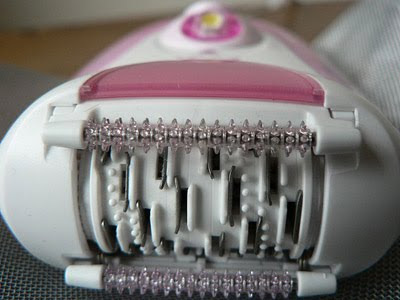 I remember that the first several months of using the epilady were hard and it hurt but now doesn't bother me at all. I am going to be lost without it! I am 70 years old and don't like change. I don't want to go from using this once a month to shaving once a day. Does anyone know where I can get a power cord? Oh, well, they don't hurt that much. I've never owned such an old model, but my mother has one from the begining of this century and I just bought a new one for myself this year. In Europe they are very common, and the new ones work miracles. These miserable things! I got sucked into using one of these. Yes, they hurt but the worst part, for me, is that they cause ingrown hairs. Decades later I am still dealing with a strange hair growth pattern with ingrown hairs from this product. Glad they went out of business--but I hear they're back (not by popular demand, I hope). I did get a charge out of all your comments and can relate. I've probably gone through three epiladies over the past 20 plus years, my third one now won't hold a charge unless connected to the charging device. So, I'm now researching to get something new. The epiladies were extremely painful for the first few uses, but then your skin acclimated and it became a pleasant non-painful experience. Until, one summer I decided to switch back to razor shaves for a more complete shave (since the epilady always misses a few hairs). At summer's end I switched back to the epilady to find that I then had to re-accustom my legs through the painful transition for several shaves until they re-acclimated to the hair being yanked out by the epilady, to where it was no longer a painful experience. 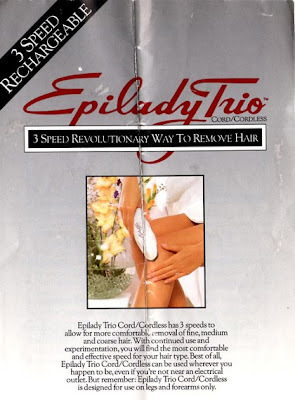 I originally switched to the epilady because razor shaving in the fall and winter would cause extreme itching to my legs, which I did not have to experience when using the epilady. 20 plus years later I do have very minimal hair growth on my legs so I am additionaly pleased with that result. Love it! best thing for me. The only one that doesn't hurt and make wounds on my legs like all those new ones (believe me, i've tried) because I have sensitive skin. I would buy it anytime!